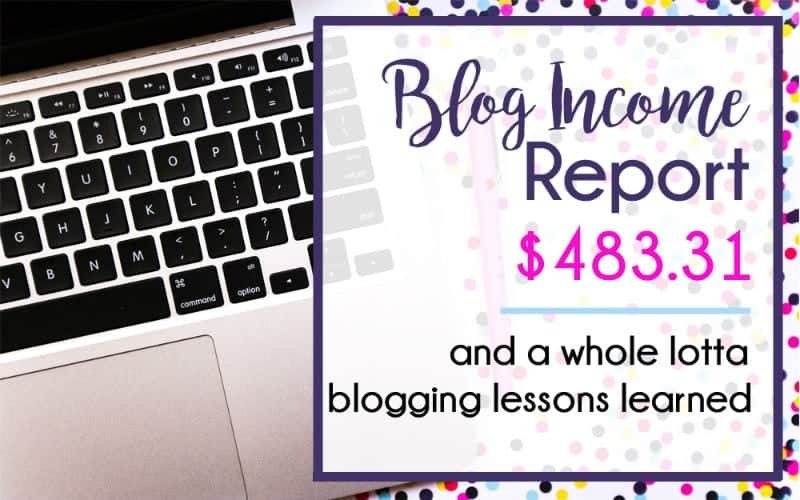 My second blog income report – I have been blogging for 7 months. SO. 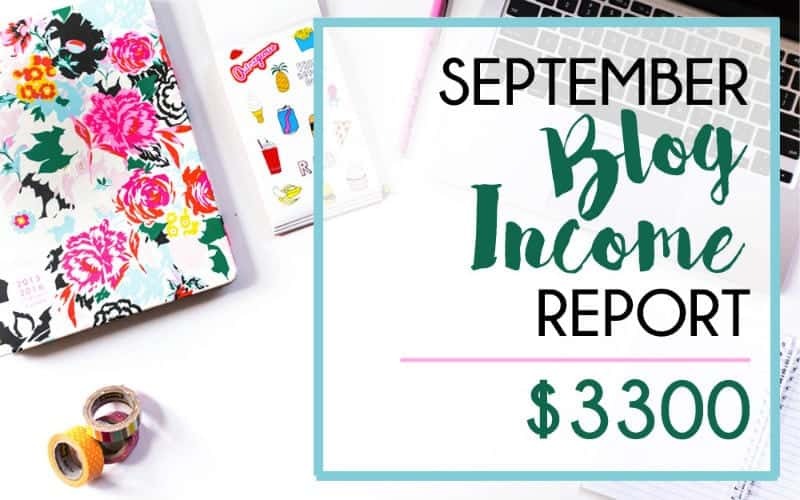 It’s been a month since I received my first real “paycheck” (as in, deposited money into my bank account) that was earned through my blog (read my August blog income report here). This is what it feels like to earn money doing something you love. FROM HOME. I started my last blog income report by saying I had no qualms sharing my income, and that was true then. But the 483 bucks in August felt a little like coffee money. I was proud of it, but the way that you might be proud of “side hustle” (I HATE that word) pocket money. A lot can change in a short time, apparently. I am definitely hesitant to share this income report. Because this time, I haven’t made pocket money. I have made real money. And it feels weird to write your real income down for everyone to see. UPDATE: This is still true, so I have decided that I will no longer share new income reports for 2017. Because I understand the value of income reports as a learning tool, I am still sending these reports out to my blogging email list. Get on the email list to receive income reports here. But the truth is, if it wasn’t for income reports like this one, I would not have started this blog. Flat out not. I am the most skeptical of the skeptics and I don’t believe anything worth having comes easy. I don’t believe in get rich quick schemes and I don’t believe everyone has what it takes to make a living by blogging. If there had just been ONE more day in September, I could have had 200k page views! (Not that I’m complaining. Just saying. It would have been pretty awesome.) I’d say 200k can be my goal for October, but I’ve never been a goal setter and I don’t mean that in a lazy way. I mean, I choose to live each day as though doing my freaking best is my goal. If page views fall by 50% in October, it will not have been for lack of having a goal or for lack of trying really hard. It also won’t mean I’ve failed. So what happened for me that made this the month that I made real money from my blog? I think blogging income is something that just takes time. Your posts need to be out there circulating, you need to be learning constantly and you need to give it time. I think if you put in the effort and wait for the time to pass, it will come. The time has finally passed. Secondly, I had great page views which resulted in great ad income. There is no doubt in my mind that this is due to much prayer and to my (totally unique) pinterest strategy. I don’t use a scheduler to pin. I haven’t ever seen my exact strategy described anywhere online, and I am currently writing it up as an ebook. This strategy took me from 0-194k page views in 5 months (and 9.1k pinterest followers as of today!) The ebook will be available by the end of the month is now available for a limited time! Check out Pinteresting Strategies here! What has to happen for YOU to earn real money blogging? Time and Effort. With a capitol T and a capitol E. I have put in at least 40 hours per week for months, on top of my day job. (Probably far more most weeks. I am able to do less hours now.) I don’t watch TV, I don’t go on Facebook, I don’t clean my house as often as I used to. I have stared at my computer screen at a total loss for what to do next, and then decided that I would not stop today until I figured it out. It has been totally, completely worth it. Perseverance and Patience. It is hard. You might want to quit. People will make you feel bad, because some people are mean. (Read my post on this –To the woman who invented pooping, and all other internet trolls.) Your family and friends might not understand what you’re doing. But keep going. USEFUL content. This has to be said. If you are writing an online journal (or primarily about your feelings / hopes / ideas), without providing content that solves a problem or addresses an issue, it will be hard for you to make money. Even inspirational content, while it CAN be monetized, is harder to make money from than content that readers find useful. Willingness to invest in your blogging education. This might be the number one this you can do, and it is ESPECIALLY TRUE if you’ve been blogging for a while and not getting anywhere. I have spent hundreds of dollars on courses and books that have taught me how to make money blogging. (I have made all my money back and much more.) The internet is full of free information, but if you have to spend the time picking through what’s good information and what’s not, what’s current and what’s outdated, it will take you YEARS to get ahead. The reason that people want to be paid for the information available in courses is because the information is valuable. 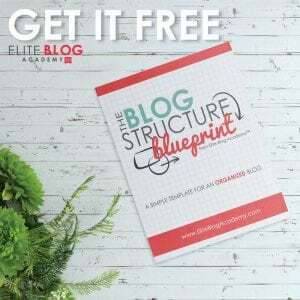 I highly recommend getting on the waiting list for Elite Blog Academy (it won’t open until February, but they will give you a FREE blog structure blueprint – just for signing up). 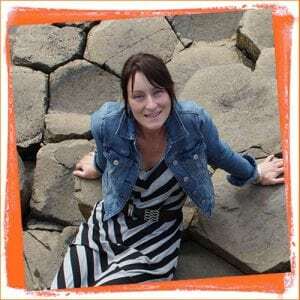 Elite Blog Academy is the course I took in February that made this blogging journey possible. I didn’t even have a blog when I bought the course. It’s been a very uphill learning curve for me. 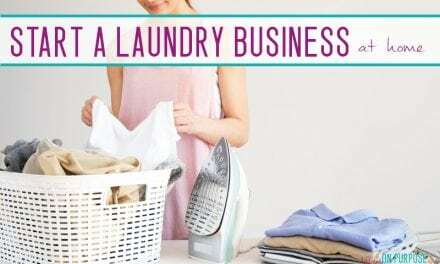 I also STRONGLY recommend Making Sense of Affiliate Marketing, especially if you are already blogging and failing all over at affiliate marketing. Michelle knows what she’s doing. I have recently started working through a few MORE courses and books, and I’ll be sharing my reviews and opinions on them as I finish them! You are incredibly inspiring! My jaw dropped when you showed your income for this month. I haven’t even started trying to make any money with my blog. I’m not sure this is the blog to do it with. I currently use Blogger and I am unsure if that is the way to go or not. Thank you for sharing your great information! Jenn, I REALLY appreciate your feedback!! Thank you! And I have never used blogger, but the general word in the blogosphere is that wordpress is the way to go to earn money. I know you can migrate from one to the other, so if earning money with your blog is a dream you have… I say GO FOR IT! Please, don’t ever be afraid to put this out there! I have been blogging for about three years now, and I have still never seen numbers like yours! I graduated from college in May and ever since have been giving my all to my blog. I definitely enjoyed reading your honest, transparent thoughts! You’re an inspiration to me and I will be definitely getting your ebook when released! Thank you for the inspiration! And the tip about the affiliate class, I was considering it but waiting until I heard someone say it was worth it. Carly! I’ve been thinking about you and your blog. I’ve been waiting to see how God was going to bless you in this endeavor and I DEFINITELY see it now. I’m so happy for you. I can’t wait to see your eBook about Pinterest scheduling! I’m totally going to buy that book! I could definitely use that! I’m getting about 182 page views a day. Granted I just started my blog like 2 weeks ago but there can always be improvement! I’m taking EBA now and it’s awesome but with a 4 year old blog, I have a lot of posts to go through and improve. 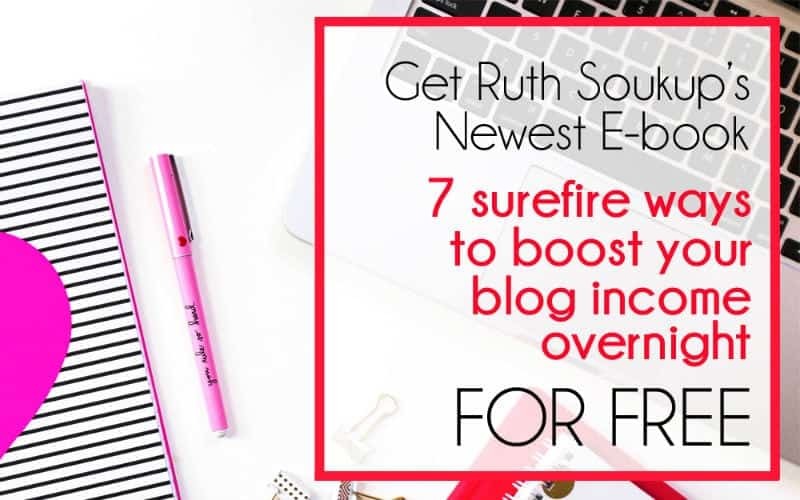 I wish I had taken it when I first started my blog but of course, I didn’t know how much I’d love it! Congrats on the success with your blog, I’m hoping for that someday! 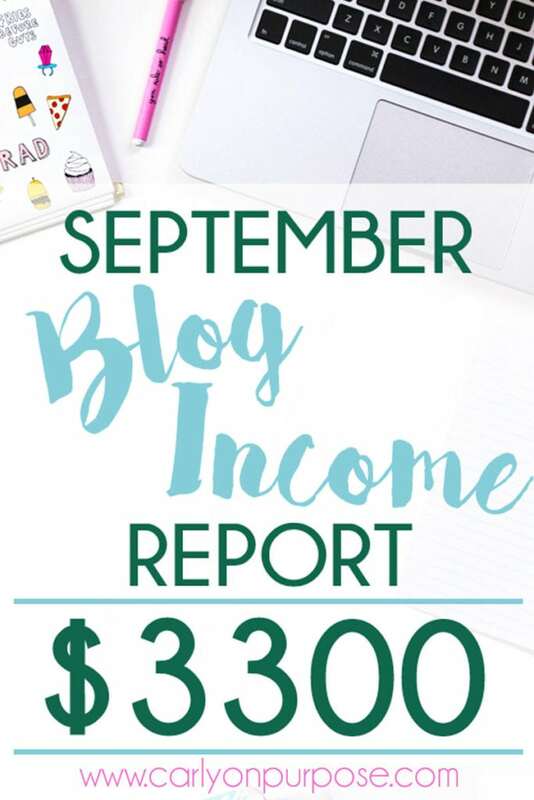 Carly, I was so inspired when I read your blog and income report. You are very relatable and honest which I’m sure has contributed to your success. I’m in the very early stages of starting a blog (still working on the design and layout) so not sure if this is the way to go but I dream of the day that I can finally leave my 9-5 and work from my home! I’m also taking Michelle’s course but only half way through (life got in the way, lol) but I plan to finish it soon and get going on this blog thing. Will definitely get on your email list to get a copy of your e-book. On top of knowing nothing about blogging, I know even less about Pinterest … uggghh! So glad you hung in there and hopefully I will learn a thing or two from your blog! Hi Bri! Thank you so much 🙂 I was TOTALLY clueless about all things blogging (pinterest included!) less than a year ago. It’s a crazy learning curve but totally worth it. Please feel free to get in touch if there’s anything I can help you with… blogging is hard at first lol. So when I read that you had started making a profit in 6months and you are still working, I knew it was legit. I often wonder if I should be “wasting my time” on my blog when I could just increase my hours in my office job, but as you say if I’m prepared to work for it -why not me? I love your take on life. AW Thank you Bee, this made me smile 🙂 I TOTALLY think that blogging can be worth it – I understand what you’re saying tho – I also get panicky sometime that I might be “wasting my time” – and we are talking about ALOT of time. I still have so far to go, and if pinterest were to suddenly disappear or something I’d have NO blog LOL. BUT I’m enjoying it and it seems to be going well, so I’m gonna keep going, and I absolutely think that you should too!! Congrats this is amazing! This is my 3rd month blogging, and I too hope to start making consistent money in the future. I have implanted a fee affiliate programs, but so far I have only made $10. Which I say only as an understatement because I was so happy about that $10. But, I don’t know if that is the first and last. I am actively trying to write amazing content, grow my presence on social media, and hopefully one day it will all come together to generate income. Congrats again! Thank you 🙂 and I totally get where you’re coming from when you say you don’t know if it’s the first and the last – I am constantly expecting every day to be the last day I make any income!! But lemme tell you, ten bucks in the first three months is AwESOME- and more than I made – just keep going and don’t forget what it felt like to earn the first 10 bucks!! Posts like this are so encouraging to bloggers like me who are just starting out… Hours of work and little results still… Gotta keep pushing forward! Would love to hear more tips for brand new bloggers, on how to gain that initial, steady audience. HI Miranda!! SO MUCH HAS CHANGED! It’s insane. I never could have imagined it… I promote mostly on Pinterest so I’m not sure have a STEADY audience, lol but pinterest is GREAT for AN audience! I REALLY HOPE you see great results from it Heather! Adthrive is awesome and I can’t wait until you can work with them! Thanks for this great post! I have a brand new blog and found this very inspiring. Since I’m new to blogging, I found it particularly encouraging to see that a lot of your income was actually through the ads, since I don’t have any of my own products (yet!) to bring in any income. Wow, I just can’t stop reading through your blog! I found it on Pinterest via post about a clutter. And now I am totally inspired from your income reports. I have a tiny personal blog and I was thinking about that, how people manage to earn money with blogs. Now I got the idea 😉 Thank you for sharing all the amazing information about blogging and other things (like how to conquer mess). Wising you all the best and sending my regards from Slovenia. SO glad you’re enjoying the blog Irena!! I wanna keep my blog ads, pop-ups, email magnets free!! Hopefully, people will appreciate that and just donate haha! AdThrive looks awesome but damn there are ads all over on your blog! IT’s pretttttty unlikely people will just donate, but good luck! This inspires me to work harder on my blog. I am currently struggling with traffic but I hope to be able to bring in this kind of income one day.